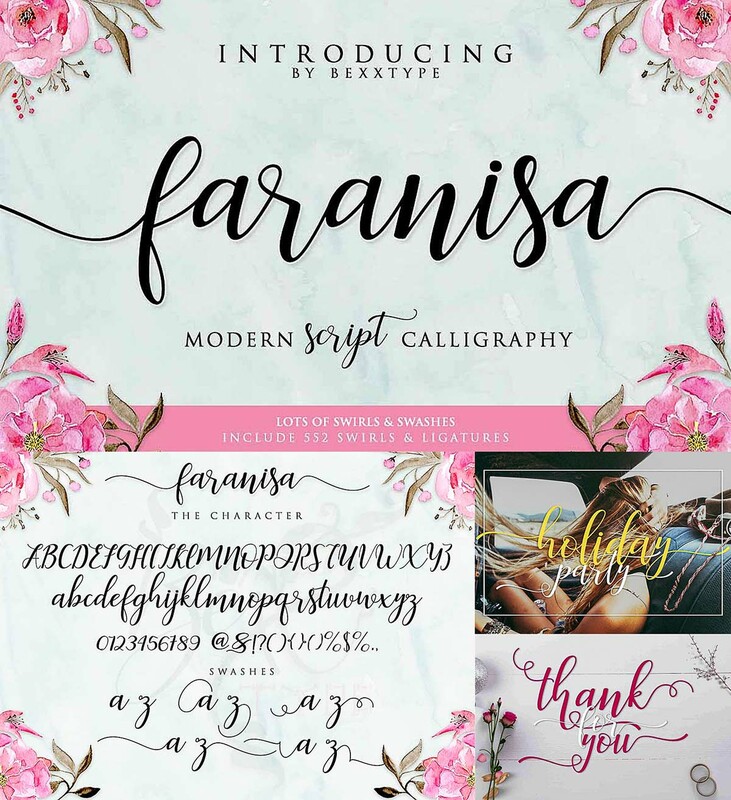 Faranisa Script a new fresh & modern script with a handmade calligraphy style, decorative characters and a dancing baseline! So beautiful on invitation like greeting cards, branding materials, business cards, quotes, posters, and more. File format: .eot, .svg, .ttf, .woff for Photoshop or other software. Tags: calligraphy, display font, elegant script, feminine, lettering, pretty, romantic, trendy, typeface.